San Diegans are signing up to build accessory dwelling units, or granny flats, in numbers that haven’t been seen in years. According to the city’s development services department people, more than 200 people went through the permitting process in 2018. “It fits for us to build an additional unit, the ADU since the council changed their ordinances ,” said San Diego resident Efrain Conrique. Efrain Conrique has been in the same house since the 1960s but is now planning to build a 1,100 square foot accessory dwelling unit in his backyard. The house is for his granddaughter. The ease in regulations is having an impact on the building community. “We are getting a lot of calls about accessory dwelling units aka granny flats. 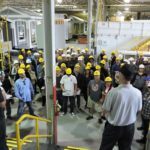 We have many predesigned floor plans built as Manufactured and Modular homes” said Abe Ferreira of USModular, Inc. According to the numbers from 2016 to 2018, ADU permits in the city of San Diego have increased almost 1,000 percent. In 2016, there were only 20 permits. In 2018, that number increased to 213. “We’ve adopted new regulations to allow for these in not only traditional single-family neighborhoods but also multifamily properties as well,” said Gary Geiler the Deputy director of the city’s development services department. Geiler says in the past few years city officials have expanded the zones in which ADU’s are allowed, eliminated the parking requirements, increased the size from 700 square feet from 700 to 1200, and waived Development Impact Fees, Facility Benefit Assessment Fees and General Plan Maintenance Fees for the construction of “companion units,” otherwise known as accessory dwelling units or granny flats. “These are all getting approved, and in the cases where we’re finding there may be an issue with the setback encroachment or parking we’re working with the applicants the homeowners, designers to find solutions,” Geiler said. 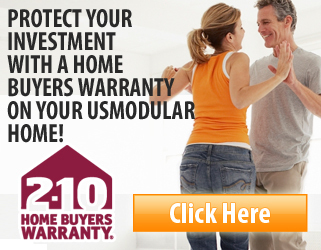 Contact USModular, Inc. for information about building your granny flat in San Diego.